KON feels this website is an increasingly important aspect of our organization. Through it, our representatives, members and prospective members, gain first hand knowledge of our organization and purpose. 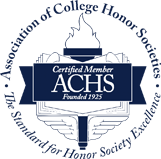 We strive to provide detailed, up-to-date information on all aspects of our organization and profession, and hope to facilitate access to important resources for our members and representatives. The KON.org website contains around 200 megabytes of information, and arranging access to all of it in a simple fashion is not always an easy task. To that end, we hope to make the most useful resources easily available, and navigation within the website as intuitive as possible. Only you, the end user, can tell us if we are performing that task correctly. So please take a minute to fill in the form below with details of your success or difficulty with the site navigation, or with your suggestions of other ways we can improve this service to our members. We may not reply to every communication, but be assured that we do read them all, and take your views into account while we continue to update the site. Important note: Please use the form below for feedback on the design and layout of the website only. All other inquiries concerning Kappa Omicron Nu Honor Society should be directed to dmitistifer@kon.org. Please enter the word konforms in the field below. This helps reduce automated nuisance submissions. *This is for feedback purposes only. Your email address remains private, and KON does not record or distribute it under any circumstances.